KLAS on Thursday published a report that found healthcare providers are skeptical about the role electronic health records will play within precision medicine initiatives. The idea that EHRs will not be the platform of choice for precision medicine is not new. Beth Israel Deaconess Medical Center CIO Dr. John Halamka said as much back in October of last year at the HIMSS Big Data and Healthcare Analytics Forum in Boston. "Do I really believe that the next precision medicine breakthrough is coming within an EHR? No," Halamka said at the time. "It will come from third-parties … twenty-six-year-olds working in their garage to link innovations to EHRs using FHIR APIs." The KLAS research, in fact, found that only 8 percent of respondents see EHR products taking a leadership role. 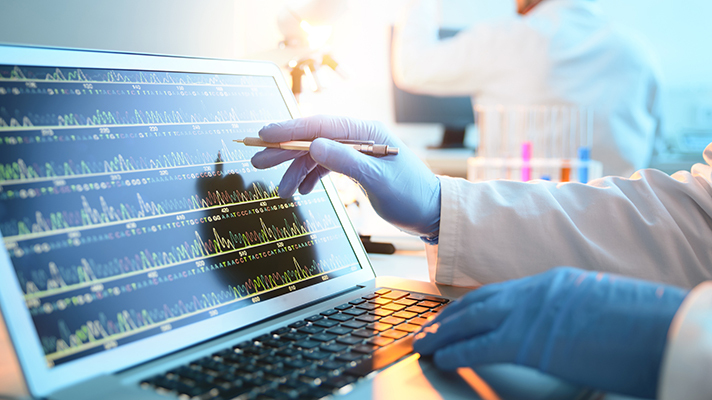 Forty-four percent said they think EHRs will play a peripheral or supportive role, while 20 percent said EHRs will be a central but non-leadership role and 28 percent answered that the software will have limited or no role in precision medicine programs. From the KLAS report: "Many respondents were not shy in expressing their feelings about EMR vendors' roles, stating that the EMR in its current state is a hindrance to the advancement of the field and going so far as to call their vendor 'a major issue,' 'not capable,' or 'not viable' and state that precision medicine is 'too complex' for EMR vendors to handle." A precision medicine technology market is coming together even if the EHR vendors are not poised to dominate the realm. And hospitals all over the globe are embarking on precision medicine work. Leading health systems such as Geisinger, for instance, are taking steps to make precision medicine a standard of care soon, while smaller and rural providers such as Gibbs Cancer and Research Institute in South Carolina are also making it work for them. Likewise, the business case for precision medicine is getting stronger as well. KLAS found that 59 percent of respondents said a business case exists, while 25 percent answered that it does but only "somewhat," 12 percent indicated that they do not have a business today but expect one soon and the remaining 4 percent are unsure.